Using our cheap flight finder, which is run in conjunction with Skyscanner could help you find a great deal on your flights. Having run searches for low cost flights right around the world, we have found that this service is a fantastic place to go to when looking to hunt out a great deal. 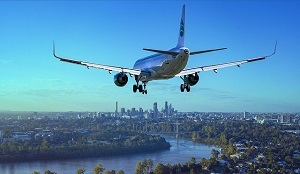 It not only shows you the prices available directly from airlines but also from a range of brokers across the globe. As they can often get their hands on better deals than those on offer to the general public this can be a useful trick in the search to find the best prices for airline tickets. Why not compare millions of flights in one simple search to find you great deals? Whether you are on your way to Aberdeen or Zurich, we can help you find low cost flights to get there.